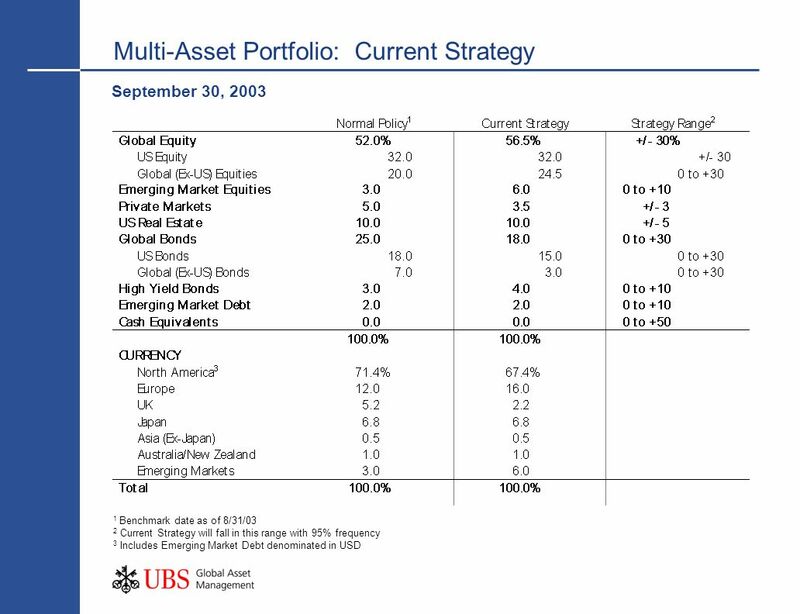 Asset Allocation: Investment Philosophy We apply fundamental, integrated and global analysis to estimate sustainable, longer-term value across markets. 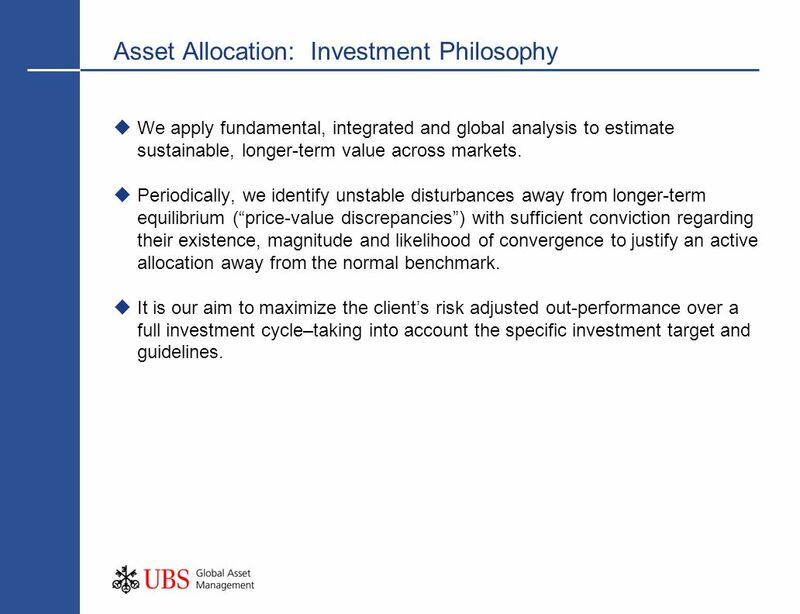 1 Asset Allocation: Investment Philosophy We apply fundamental, integrated and global analysis to estimate sustainable, longer-term value across markets. Periodically, we identify unstable disturbances away from longer-term equilibrium (price-value discrepancies) with sufficient conviction regarding their existence, magnitude and likelihood of convergence to justify an active allocation away from the normal benchmark. It is our aim to maximize the clients risk adjusted out-performance over a full investment cycle–taking into account the specific investment target and guidelines. 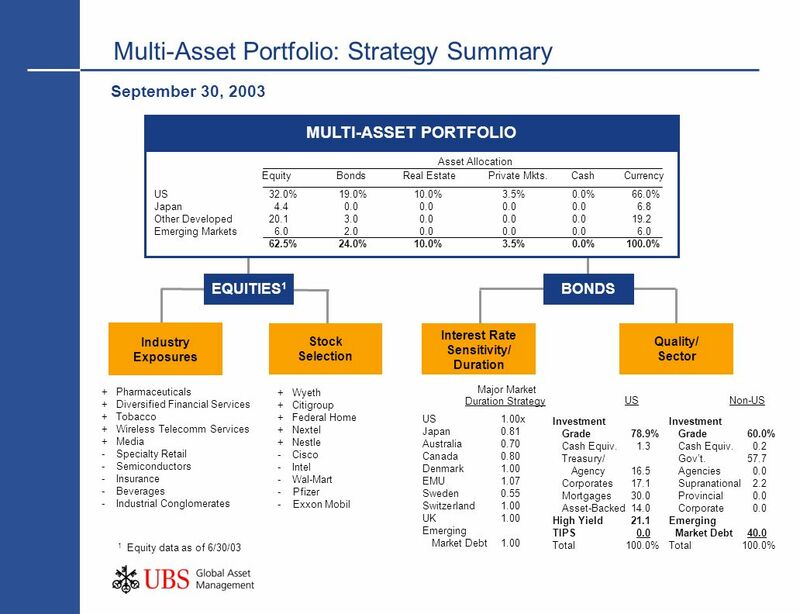 Download ppt "Asset Allocation: Investment Philosophy We apply fundamental, integrated and global analysis to estimate sustainable, longer-term value across markets." 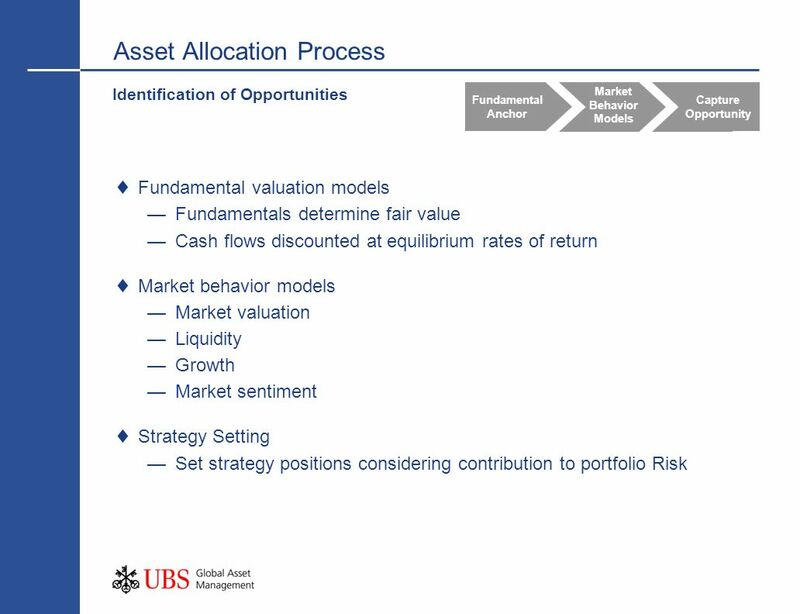 Investment Philosophy: Price/Intrinsic Value Intrinsic value is determined by the fundamentals that drive a securitys future cash flow Discrepancies between. 1 Private & Confidential A Growing, Broad, Global Market Institutional Clients: Pension Funds, Endowments & Insurance Cos. Central Banks and Social Security. 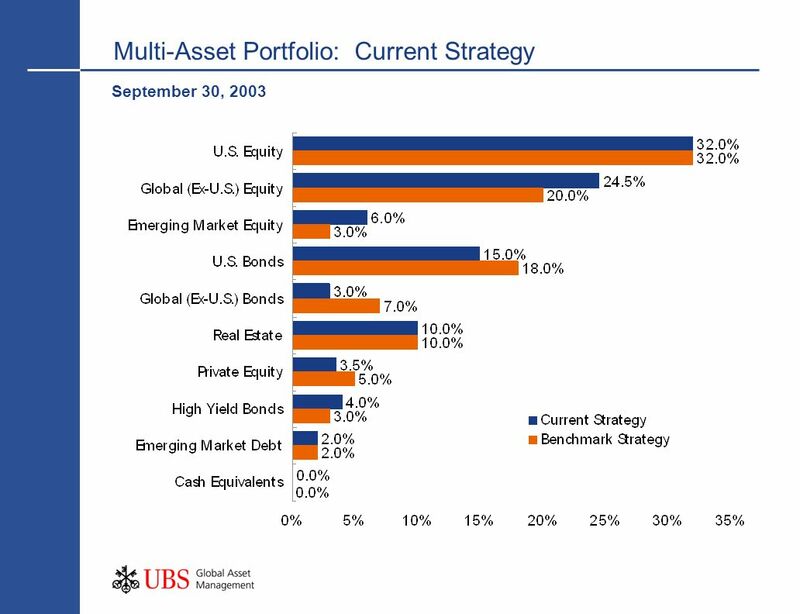 Harmony Portfolios Asset allocation and benchmarks February 2010. ©2009, The McGraw-Hill Companies, All Rights Reserved Chapter One Introduction. Asset Liability Management is a procedure which allows us to gain an understanding whether the companys assets would be sufficient to meet the companys. INVESTMENT OPPORTUNITIES AND RISKS Mr. Edmund Go Director, Metrobank Former Treasurer, Citibank Former Treasurer, Metrobank Briefing on NGO Investments. NEFE High School Financial Planning Program Unit Three – Investing: Making Money Work for You Investing: Making Money Work for You Investing: Making Money. Hedging Strategy and Pension Fund Restructuring Presented to X  Alison Catherine Cristiana Jean-Talon and Co.